You are here: Home / Expired / Dallas Readers: Win Tickets To Sealife Grapevine To Meet The Octonauts! 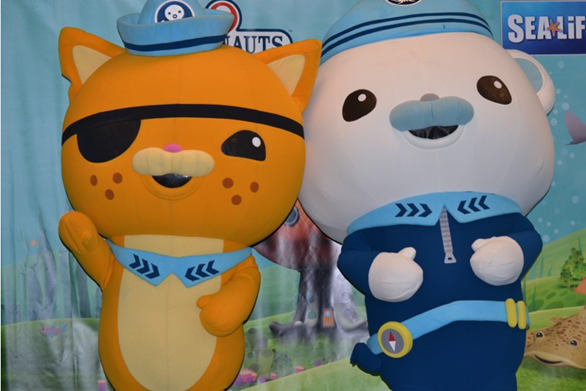 Are your kids crazy about the Octonauts? Well, Sealife Grapevine is offering to give 4 tickets to 1 lucky reader to take your kids to meet Captain Barnacles and Kwazii This July! Dive into action with the Octonauts, the team of undersea adventure heroes from the hit animated TV show. Young fans will embark on an exciting mission with special activities and fun-filled events, plus get the chance to meet Captain Barnacles and Kwazii. The Octonauts adventure starts at SEA LIFE Aquarium Grapevine, Saturday, July 5 – Sunday, July 20. Mandatory Entry: Leave a comment here. This giveaway will end Saturday, July 12th, 2014 at 11:59 pm Central time and the winner will be emailed soon thereafter. Make sure you add [email protected] to your address book, so you get the email if you win! Be sure to check out our other giveaways! Also, enter even more giveaways! My family would love to see this! Thank you for the chance to win! Sounds like fun and a great learning opportunity for my son.